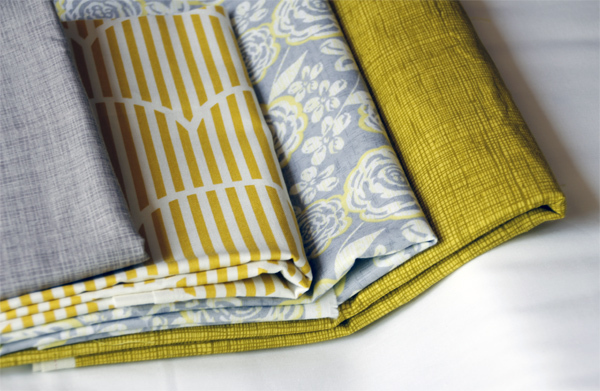 Some quilts, like the Avalon Quilt, are the quiet achievers of the quilt world. These quilts seem to be in no rush to get finished and will patiently wait for their turn to shine. They don’t care that it’s taken four years or that you’ve made 16 other quilts in this time. 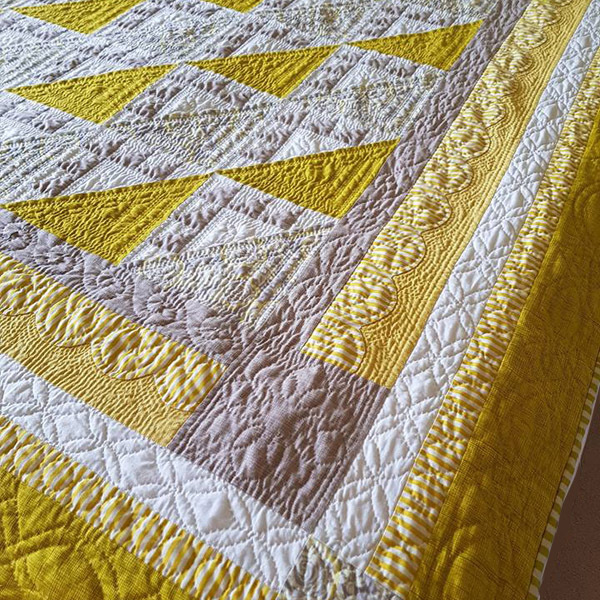 Quilts like Avalon are worth the wait. 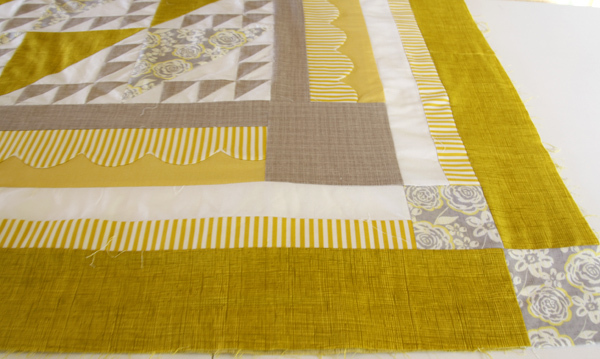 Speedy quilts with lots of colour and a vast variety of fabric are always appealing, however, with this quilt, I challenged myself to use a strictly limited palette because I wanted to maintain the fresh, crisp look of the fabrics as they had first appealed to me. The second challenge was to repeat the blocks. Repeating the traditional Lady of the Lake blocks 36 times kept it simple and minimalist. The restraint was torture so allowed myself one indulgence by making 18 of the blocks with a different fabric in the largest triangle. 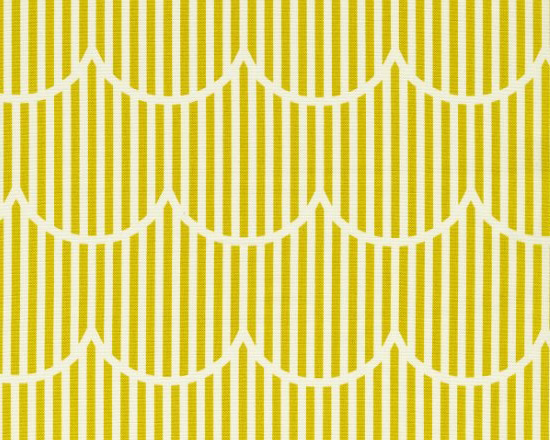 In late 2015 in my blog called Listening to the Fabric, I talked about how I came to make the scallop border by putting the design in the fabric to good use. It was sheer luck that I found the scallop fabric but as fabric like this isn’t freely available, I replicated the scallops for the Avalon Quilt Pattern so they be easily traced, cut and stitched using needle turn applique. Needle turn applique may seem daunting, but once the scallop strip is basted onto the background strip, it is then just a matter of rolling the raw edge under an 1/8 inch as you stitch. Using a matching thread , stitching into the crease and keeping the stitches firm will help to keep the stitches invisible. While most of my recent quilts have big-stitch quilting, Avalon called for a traditional quilt-stitch. These tiny stitches were slow, so this quilt spent a lot of the past few years waiting to be finished. Eventually, the quilting was finished and the border added. Most of my quilts end up on display for classes but this one is mine — all mine. It is on our guest bed and the extravagant quilting gives me immense pleasure whenever I walk past. 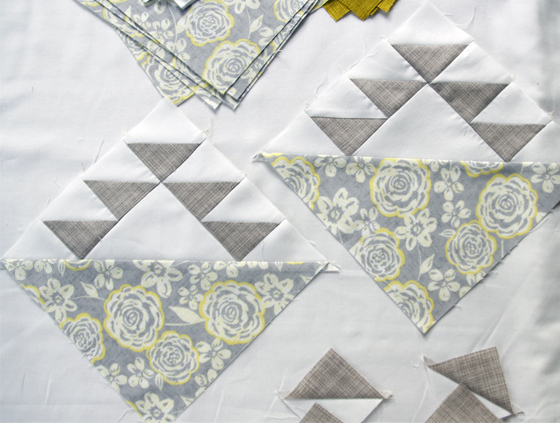 If the Avalon Quilt Pattern appeals to you, but needle turn applique and tiny stitches scare the willies out of you, rest assured, machine applique and long arm quilting will be equally wonderful and also worth it in the end. Taking good photos of my quilts is really important, however, the most interesting images aren’t always the studio shots — sometimes great shots happen by accident. 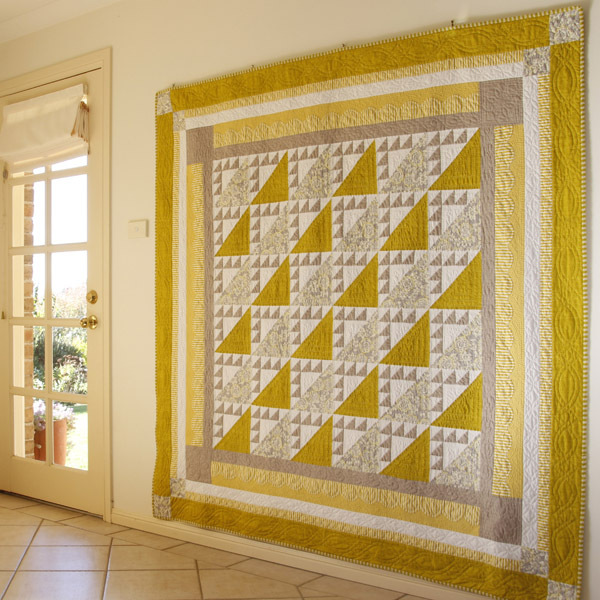 In this photo the Avalon Quilt was on the wall in readiness for the next day’s photo shoot. Magic happened when I moved the table and lamp back into position. 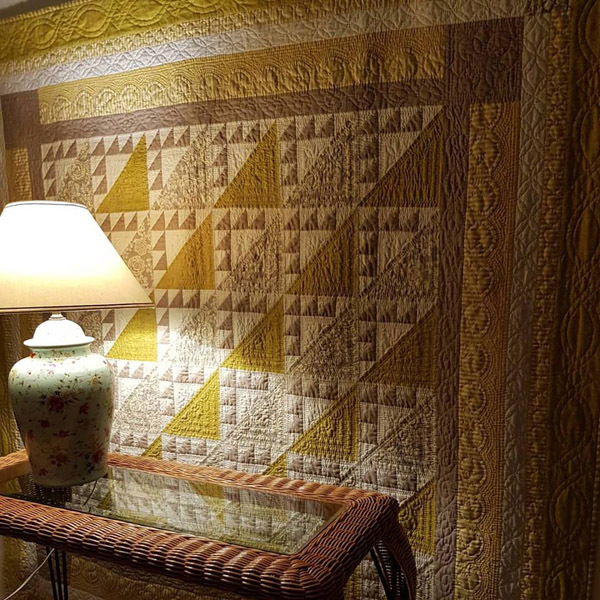 The soft lamp-light made Avalon glow and really show off the quilting. Enjoy. For more patterns, visit our store. Until next time — happy quilting. OH MY GOODNESS!!! This quilt is absolutely gorgeous and just plain fantastic. The scalloped border is such a lovely, intricate touch. You’ve created something so beautiful and I’m happy for you that you are keeping it!